No Prob llama! 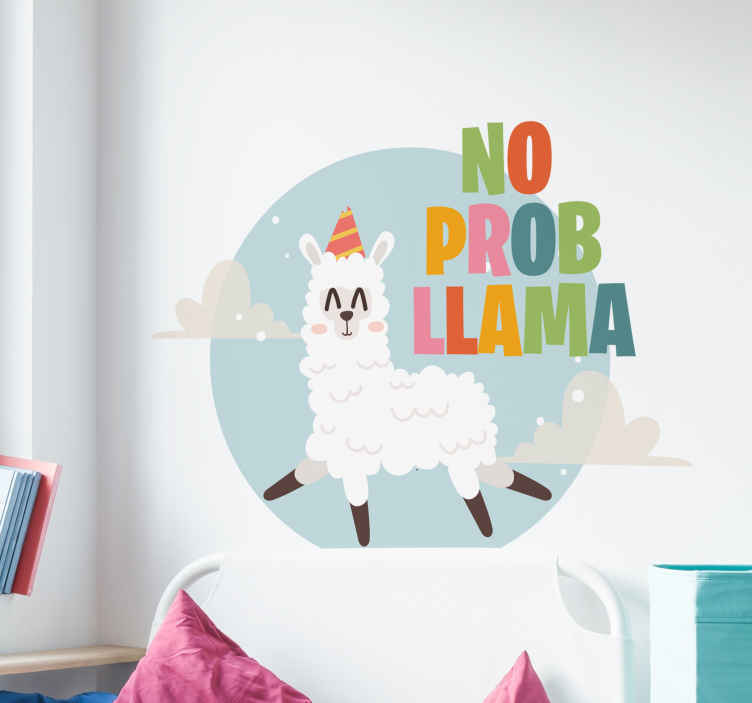 A fantastically humorous and fun wall art sticker, depicting a llama strutting through the air, with the phrase ´no prob llama´ next to it! Ideal animal decor for those who have an endlessly positive attitude to life and wish to display that on their wall for all to see!